So, you’ve started a side hustle. Bravo! Usually getting started is the hardest part. And, now, you’re putting yourself out there. Maybe you even have a basic website or a blog. Maybe you’ve got some basic social media accounts down. Good for you. But, how do you start bringing in business and charging a living wage for your (no doubt) exemplary services? That’s the really hard part. I have reinvented myself professionally a few times now. Years ago, I was gigundo pregnant with my son and working crazy hours as a middle-school English teacher (loved it, proud of it, miss it). I was ready for a change and wanted to stay home with him for a year or more. 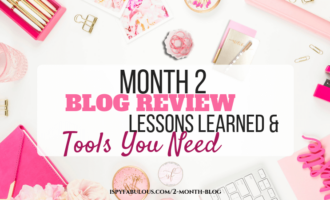 So, I started planning and networking before my son was born to establish a freelance, work from home job writing – thinking maaaaaybe I’d make some side cash until he was a year old and I went back to the classroom. But, by the time he hit his first birthday, I had matched my full-time teaching salary (for you teachers out there: year 8, masters degree, credential). I know, I was more shocked than anyone. I went on to start a social media management company and then, this year, started a blog. You can fake it until you make it, my friend, and I’m going to show you how. 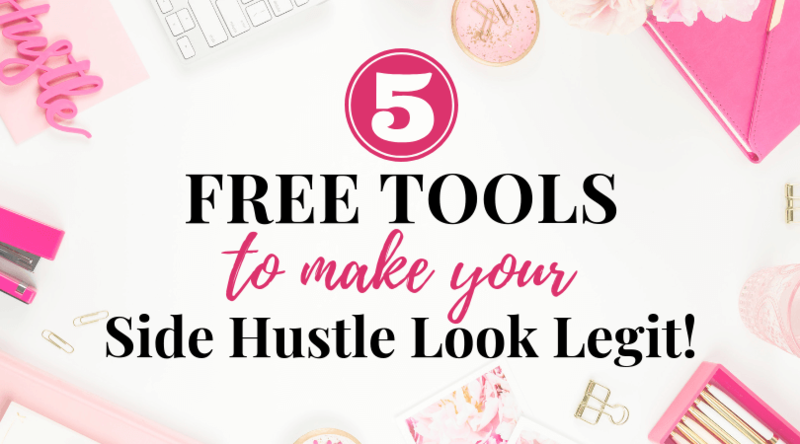 Here are 5 free tools that you can start using – today – to make your side hustle look like a more legit business than it may be or than you feel it may be. You’re going to need a logo. It doesn’t have to be spectacular. You also don’t want it to look too cheap. That is pretty epic! Hatchful is super easy, so even with zero graphic design or even technology skills, you could put something together on Hatchful that you can use right away. Canva is an amazing resource for designing all types of images, from logos to social media pics and more. After you open a totally free design, click “Create a Design” in the top left. Scroll down until you see the logo graphic. Then, you’ll see a dashboard that looks like this. On the left, you can scroll through a bunch of free layouts, icons, ideas, royalty free images, etc. Customize to your hearts content. When you’re finished, just download the file. Then, use the resize tool to format it for different purposes. There are free templates for everything you can think of – social media headers and more. 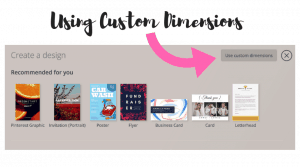 If there isn’t something you need, go back to “Create a Design” and look for the CUSTOM DIMENSIONS option on the top right of the page. Put in the dimensions that you need and voila! You’re ready to go. 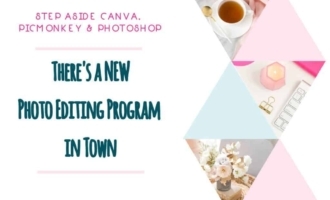 Canva is also my top recommendation for designing images for your social media accounts. It literally couldn’t be easier. I have absolutely no graphic design background and I have been designing all of my own images for my blog on Canva. It is actually really hard to believe that it’s free. Now it’s time to find someone to review what you’ve created. You probably know at least one person in your life who has graphic design skillz or experience. Cash in some of those favors and ask them to look over what you made – suggest tweaks, etc. Show your logo around and ask people if they understand what it is for or have any thoughts. Sometimes, you’ll be surprised what an image conjurs up for someone else. The last thing you want is a logo for your brand that makes people think of something negative. If you’re stuck on colors, branding, logo ideas – Pinterest is your best friend. You can literally search “branding and logos” and pull up a ton of free layouts that will give you everything from color palettes, logo suggestions, fonts that pair nicely with them, etc. I mean #BookIt. You’re done. Then, once you have a great idea of what you’re looking for, start experimenting with one of these free design tools to create something you can live with. Once you have it figured out, download it in the different files needed for the various social media accounts. REAL TALK: I’m going to be real with you – this probably won’t be a ground breaking logo. You probably won’t win any awards for it. That’s okay. Once you get your business off the ground, you’ll loop back around and pay someone really talented to create a custom logo from scratch. So, go easy on yourself and make it work. Rather Just Pay Someone Else? 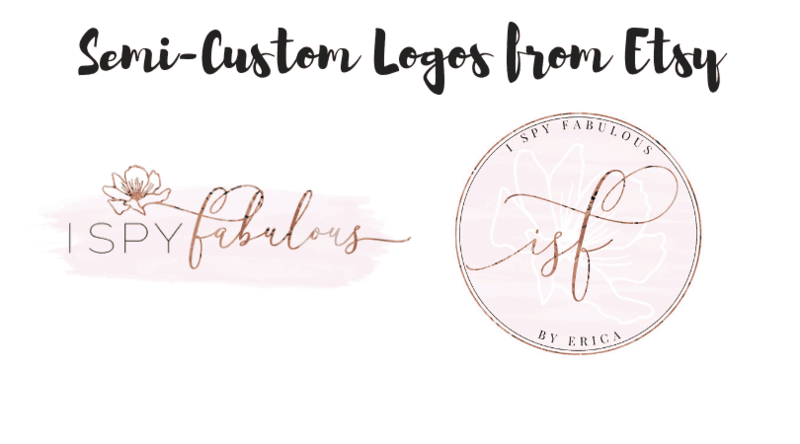 If you don’t want to spend the time creating it yourself and have a little bit of money to spend, consider doing what I did for this blog – and get a semi-custom logo off somewhere like Etsy or Logaster. How this works on Etsy is they have already created the logos. You buy the one you like, they will customize it with your brand name and make small tweaks according to your preference. 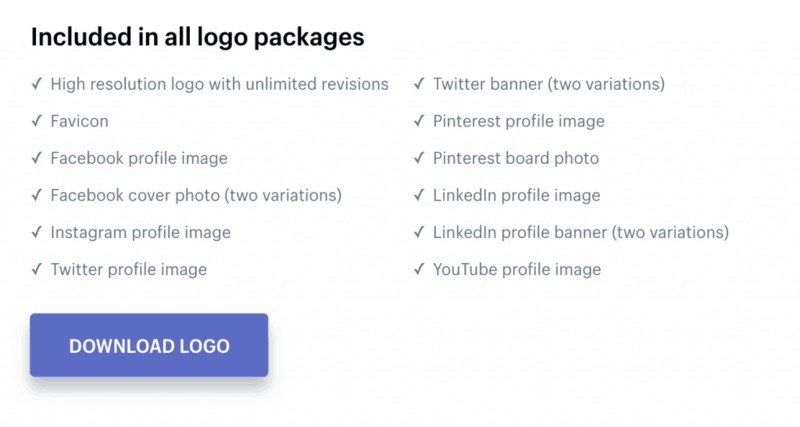 You will pay something like $30-50 to get the full suite of logos needed for your social media sites, etc. If you’re interested in checking out semi-custom logos on Etsy, here are a few shops with beautiful work to get you started. Macarons and Mimosas: gorgeous watercolor logos with metallic embellishes, great reviews. Very feminine, on trend, great for social media. Fresh Lavender Designs: Adorable designs, some with a childlike spirit, great for a child’s brand, but also more sophisticated designs. Both semi-custom and lots of custom work, too. Luna Blush Designs: The designer I used for my blog logos. She was quick, very easy to work with, happy to make customizations, and her work is – I think – beautiful. Whimsical, watercolor designs with metallic foils. She has some really unique looks using moons, lotus flowers, and more. There are so many more. 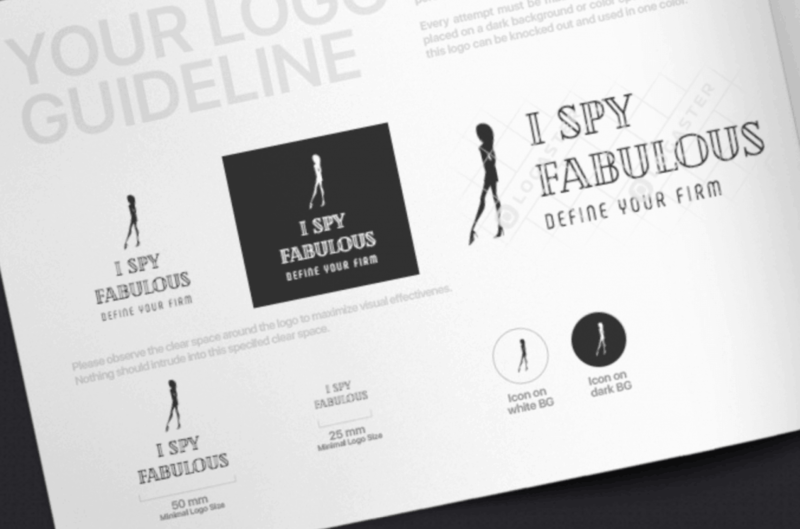 To find them, simply search “logo design” and scroll until something catches your eye. I didn’t know about Logaster before buying my logo pack on Etsy and I’m kind of kicking myself for it, because that logo is suh-weet! ROOKIE TIP: DO NOT, under any circumstances, pay for a logo that will not be delivered to you with the full-suite of social media logos. The worst thing you can do is put a logo that is incorrectly sized into your social media accounts and let it lop over the sides of the space allowed. You would be better off using an attractive photo instead. If you are paying for it, absolutely do not put money down on something that will not be delivered to you with everything you need. Great, so now you have a logo. Let’s move on. Since you’re still operating on the free plan here, I’m going to assume you have not invested in a custom email to match your website. 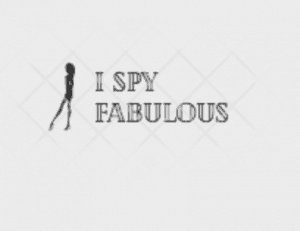 For example, my blog is I Spy Fabulous, so my email is erica@ispyfabulous.com. But, in the early days of my freelance writing business – I didn’t even have a name. I just used my personal email and pretty soon, word got out and referrals started coming in. I never even had a website for it. Seriously. Even if you don’t have a sweet custom email – you can make whatever email you’re using look legit by adding a free signature. And please, for godsakes, don’t use your old college email with a name like “TastyCupcake88”. If you don’t have a slightly less embarrassing email address, just open a new one. Keep it short and sweet without a bunch of things to remember. And, if you already have a fancy email, you can still download this free email signature tool. So, go here and download WiseStamp. Customize the email signature template with the logo you just finished making, the new email you just opened, a website or link to an online portfolio if you have one (if you don’t, you will by the end of this blog post), and social media accounts for your business. You can get it without the WS logo if you pay. I have not yet paid. I like free things. ROOKIE TIP: Make sure any social media accounts being used for your business are actually business accounts. There is a difference between a regular Instagram and a business Instagram, and this is true for all of the utilities. For one thing, you’ll have access to important insights and analytics about your audience. So, check that before sharing them. Now, you look more professional when interacting with potential clients. Hopefully, you’ve started to book some work and are in the process of figuring out itemized proposals and contracts. Depending on your niche, you can google free proposals and contracts and then make edits to customize them. For example, add your logo, delete unnecessary terminology, add important details related to your business, etc. So, your proposal has been accepted, the contract has been signed, work has been delivered, they approved it, and now you have to bill them. It’s time for a proper invoice. Trust me on this – the more professional your invoice looks, the faster you will get paid. 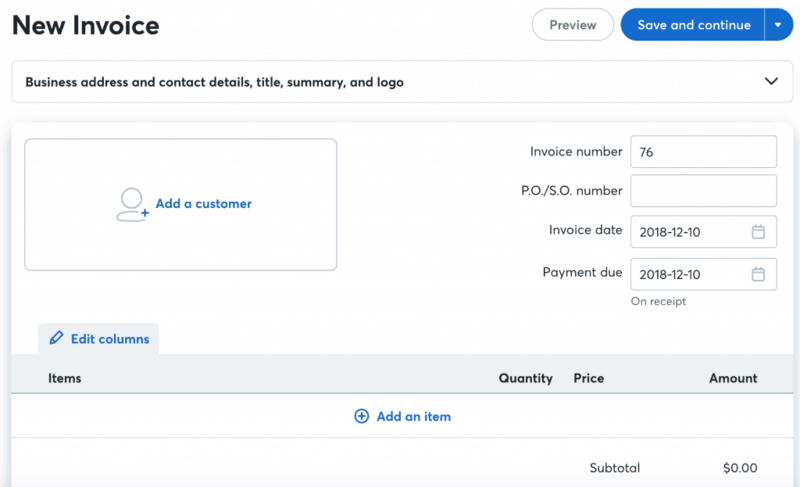 The more professional your invoice looks, the faster you will get paid. Google Docs. Search invoices. Customize one with your info and logo. Send. This is pretty much as generic as it gets, but it’ll get the job done. It will NOT give them any immediate payment options. This is the slowest way to get paid. PayPal. Set up a PayPal account. Add logo to an invoice template. Send. This will get you paid a little faster, but you’d be surprised how many people still do not have PayPal. PayPal does take a percentage out of your payment for processing it for you. WaveApps.com: A free invoice service that allows you to create professional looking invoices, tracks them for you, and makes it easy to create receipts after payment. WaveApps also allows for multiple payment options, including credit cards, and that, my friends, is why this one will get you paid quickly! When I made the switch to WaveApps, I saw a DRAMATIC increase in how fast I was paid. With Google Docs, I would have to send a reminder 50/50 of the time and with PayPal I could count on a couple of days, at least. When you send it, your client will get a professional looking email with a link to the invoice and very obvious options for payment. Then, once they have paid, you are pinged and can send them a receipt. Your clients will love getting receipts! This is great for accounting, but also to close the loop for them that it has been received. Wave is COMPLETELY FREE to use, however, you will pay a fee out of your payments – similar to PayPal. The only completely free way to invoice is Google Docs, where they will send you a hard check. But, expect it take longer. Personally, I’d prefer to give up less than 10% of the payment to get my money in hours. I will seriously not make a dime if you open an account with Wave, but it is still my #1 recommendation to you for free invoicing. 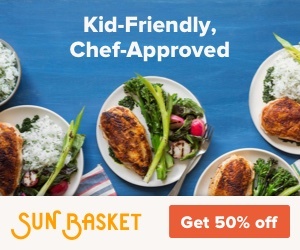 Once you are really cooking, you’ll want to check out Honeybook. With built-in proposal and contract templates, a networking board that allows you to meet potential clients, and many other cool features, it’s a service that will pay for itself very quickly once you’re up and running. It’s around $20 a month for the service and then they take a small cut from payments made using the system. To be able to track products start to finish in their system, as well as even source new gigs and network, Honeybook is an investment in your business that will pay for itself. 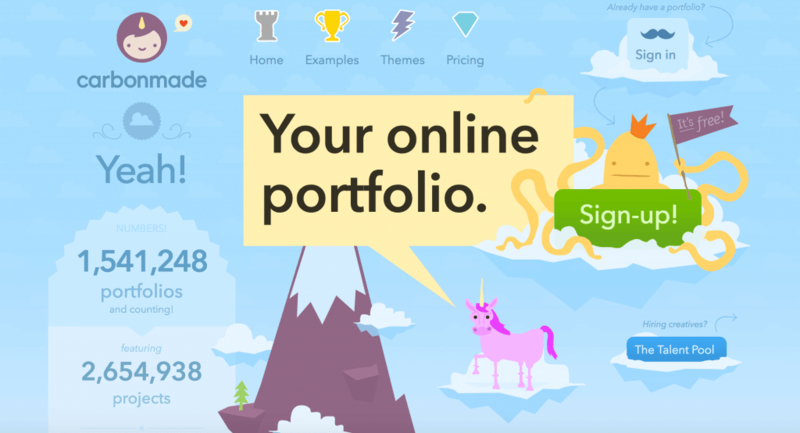 It’s time to create an online portfolio to showcase all those mad skillz! Now, you won’t have to link separate projects to emails anymore. You can upload a handful of your best work to your new online portfolio on Carbonmade, for free. The Meh Plan offers you 5 projects and 35 images, along with other customization options, such as more information about your experience, background, etc. I saw a very quick lift in how many of my proposals were accepted after opening a Carbonmade portfolio. It was so effective, I upgraded to the $6.95/mo plan to be able to add video, since so much of my work is video scripts, and then saw an even greater return on accepted proposals. This is important so that the person knows it is just a snapshot. Of course, make sure that there is something in there that relates to the client you are pitching or their business. Because the free portfolio limits you to 5 projects and 35 images, you may need to swap them in and out based on the niche of clients you are currently prospecting. You will love the convenience of having a portfolio ready to go when it’s proposal time. And, I’ve even had clients find me on Carbonmade and reach out to me! At some point, you’ll want to start scheduling your social media posting. It gets very laborious to post repetitively on all your social channels, particularly if you’re posting the same thing. And, since each channel peaks at a different time of day, and sometimes, day of the week, it can also be nice to schedule your posts when they’ll have the most impact. After years of freelance writing and listening to how many companies were using social media to explode their businesses, I started offering social media management services as well. I offered them in tandem with a graphic designer to create custom, beautiful work. She eventually decided to go start her and her husband’s dream business #TheAudacity! So, I started teaching myself how to fill her shoes. No small feat; girl is a genius. Anyway, my point is that we used social media scheduling software religiously. It just saves a ton of time, whether you’re using 3 accounts or monitoring 300. There are two scheduling software programs that are feature rich and will give you up to 3 social media sites for FREE. Seriously, for FREE. Buffer: This is my top pick for newbies because the platform is simpler, easy to navigate, and doesn’t overcomplicate it with features you won’t be using in the beginning anyway. You can easily customize how the post will look for each utility and you can use their scheduling recommendations to optimize reach or just post it when you want to post it. The calendar allows you to see how you’re scheduling things out, so you can fill in any gaps. Hootsuite: Hoot is really one of the premier scheduling softwares out there today. They have some of the most robust programs with insights on top of insights on top of insights. More than you could ever really want to know unless you’re at the enterprise level (you’ll get there ;). Hoot also offers a free package with up to 3 social media accounts for FREE. So, take a look at both – see which one really works with your brain. The best social media scheduling software is the one that you will actually use. Once you’re really playing the game – there are so many more to choose from, each offering their own unique bag of tricks. Loomly has the cleanest, most user-friendly interface I’ve seen yet – at just $10 a month. Meet Edgar uses a unique algorithm to recycle content. 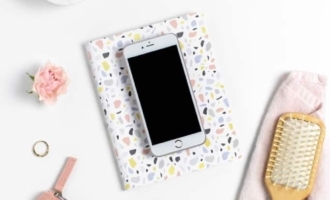 Then, there are the social media site specific programs, such as Planoly for Instagram, which is free for one Instagram account and up to 30 posts a month, and Tailwind for Pinterest. Tailwind will literally skyrocket your Pinterest. I went from 0 to 277,000 monthly views in 2 months using Tailwind. There is a free Tailwind trial – but fair warning, you will probably pay for it after the trial ends, because it’s that good. So, if you want to stay on the free plan for right now – I would stay far away from Tailwind. So, that gives you some sites to start with. Take a look around. Try them out. Use what works. Whew! Are you still with me? That was a lot of info. But, I think it’ll be incredibly useful to you and really up your side hustle game if you start implementing them. I would love to go into more detail or do a full tutorial post on any of these things that you have questions on. Just let me know in the comments below or shoot me an email and say – hey, I want to know more about how you [x, y, z] and I’ll put together a more detailed post on it. 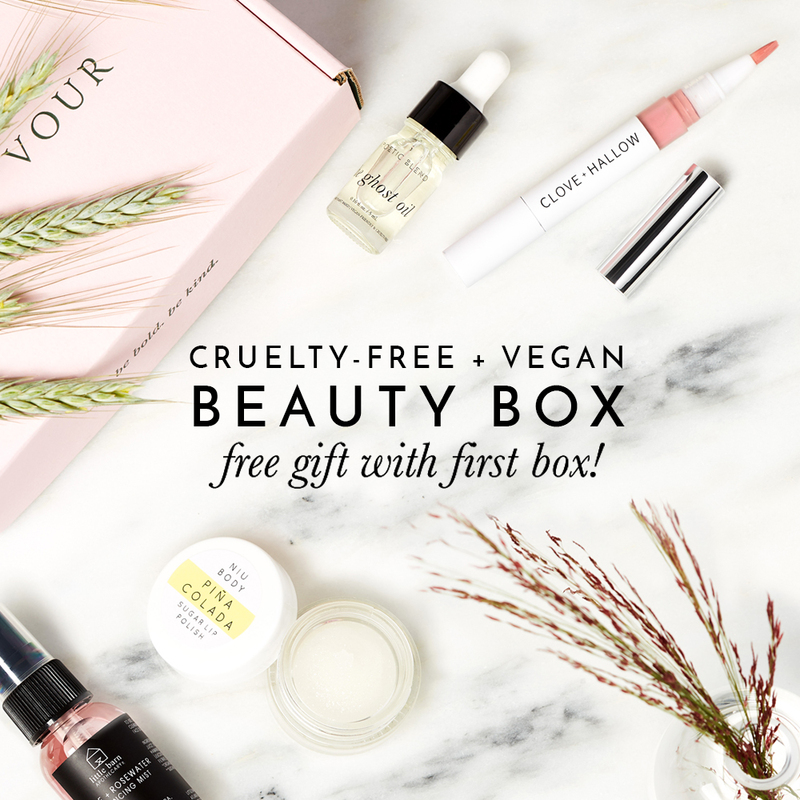 Have you tried any of these yet? Do you have a recommendation that we should add to the list? Let me know in the comments below! 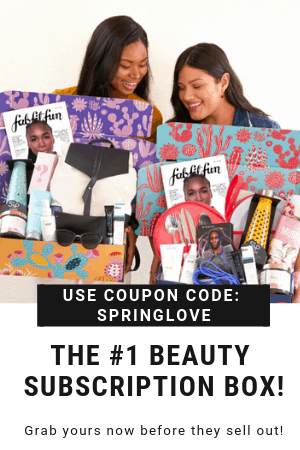 « Complete Unboxing of the FabFitFun Winter Box! 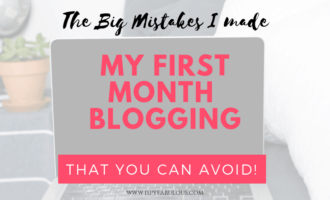 The 3 Mistakes I Made My First Month Blogging & How You Can Avoid Them! How To Make Amazing Images & Pictures – Nobody Else Will Have! This was so thorough, thank you! So glad it helped! If there’s anything else you need help with, let me know! Wow! Such great info! I may just start a business now! You should! Make that money, honey!